Southeastern Occupational Pulmonary services can assist with general workplace wellness with its partner, Industrial Medicine Solutions. 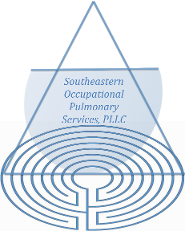 Assistance is available from Southeastern Occupational Pulmonary Services, for lung preservation and monitoring programs as well as smoking cessation programs. Improve overall long-term employee health.